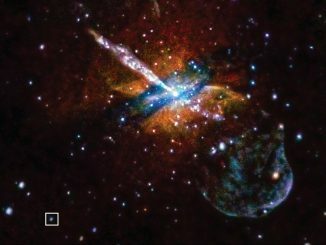 Studying what they first took to be a supernova explosion, astronomers have instead concluded they were witnessing the aftermath of a supermassive black hole at the core of a colliding galaxy consuming a nearby star, ripping it apart and ejecting a powerful jet of material. 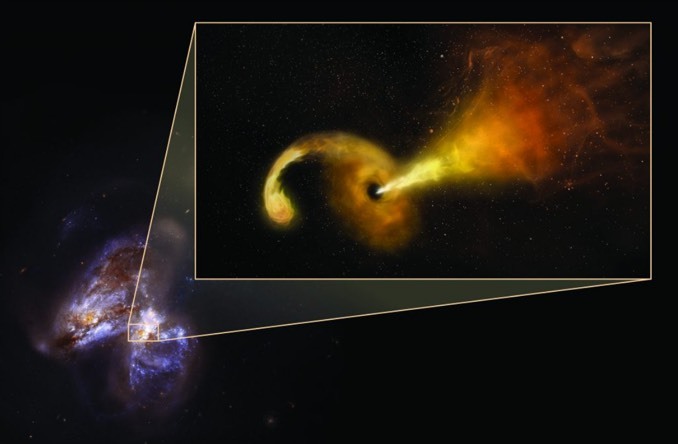 It is the first direct observation of a jet forming in the wake of a stellar “death by black hole,” a cataclysm known as a tidal disruption event, or TDE. The event occurred in the core of a galaxy in the process of colliding with another nearly 150 light years from Earth. The colliding galaxies are known as Arp 299 and the black hole in question is 20 million times more massive than the Sun. 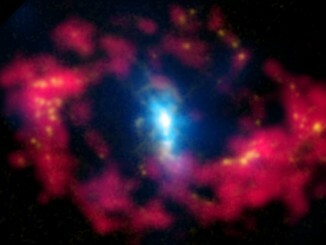 Using the William Herschel telescope in the Canary Islands, astronomers first detected a bright infrared emission from the nucleus of one galaxy in January 2005. 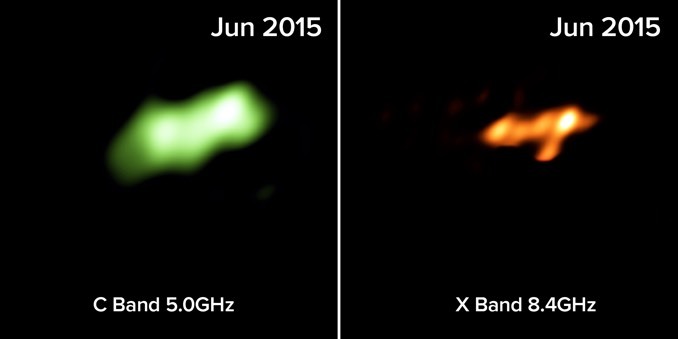 Six months later, radio emissions were detected at the same location. 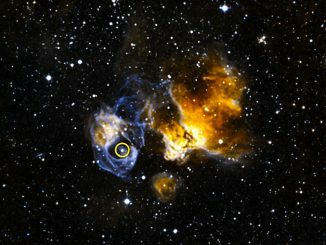 Observations over the next decade using the Very Long Baseline Array, the European VLBI Network and other radio telescopes found radio emissions expanding in one direction, indicating a jet of material moving about one quarter the speed of light. Astronomers eventually concluded they were, in fact, seeing an evolving jet from the black hole as it consumed a nearby star. A team of 36 scientists from 26 institutions around the world participated in the observations of Arp 299. Their findings were published in the 14 June issue of the journal Science.